badge. A yellow battle-axe on a black ground. 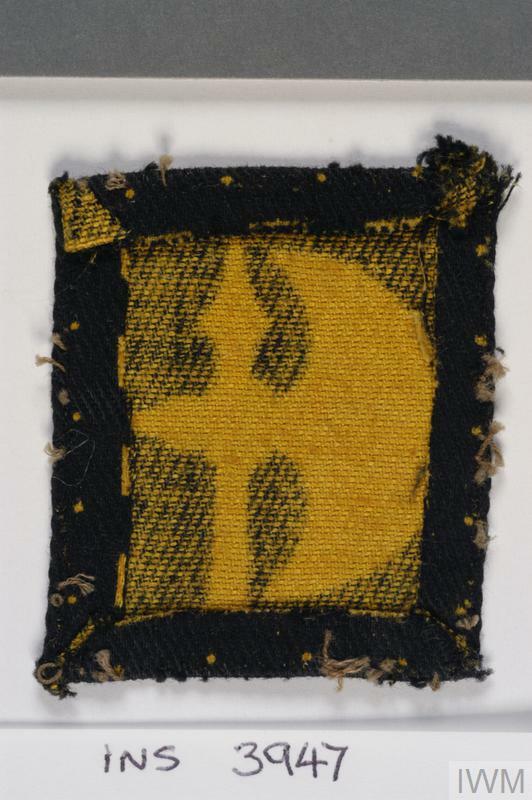 The badge represents a Crusader's battle axe and was selected by the Division's first commander, Major General V. Evelegh. 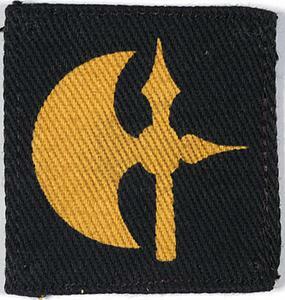 A variant form of the badge also exists with a circular background. All versions appear to have the axe blade facing left. 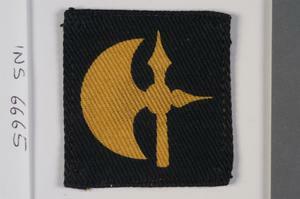 The Division was formed in Scotland on 25 May 1942. 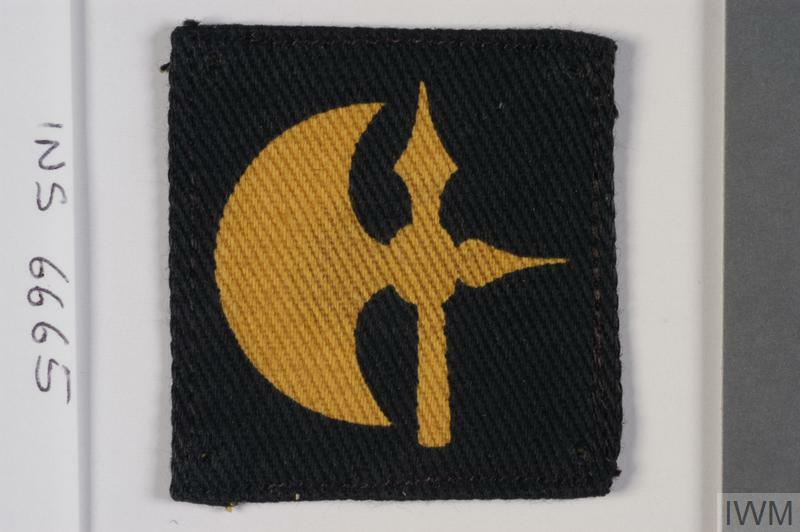 Within four months of establishment the Division, as part of First Army, took part in the Allied invasion of North West Africa (Operation 'Torch'). This remarkable achievement was made possible by the fact that many of 78th Division's constituent units had been training together for some time and were simply brought together under a single command. Notably, training had concentrated on amphibious assaults, under Amphibious Force 110, and the Division was thus particularly well prepared for the 'Torch' operations. 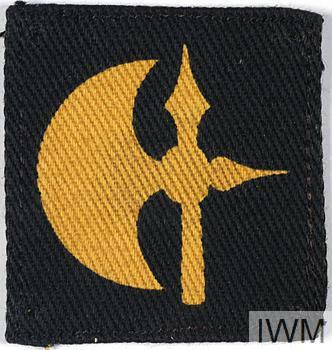 In the event the Division landed unopposed at Algiers on 8 and 9 November 1942 in company with 'Blade Force', a regimental group from 6th Armoured Division. The first significant opposition was encountered at Tebourba at the beginning of December, after which the Division saw much hard fighting on the Algerian -Tunisian border in the winter of 1942-43. In the spring of 1943 the Division participated in the successful campaign in Tunisia. 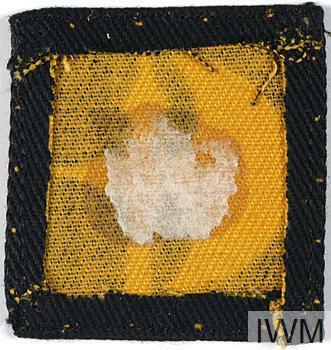 78th Division landed in Sicily on 25-26 July 1943 and fought throughout that campaign to August 1943. 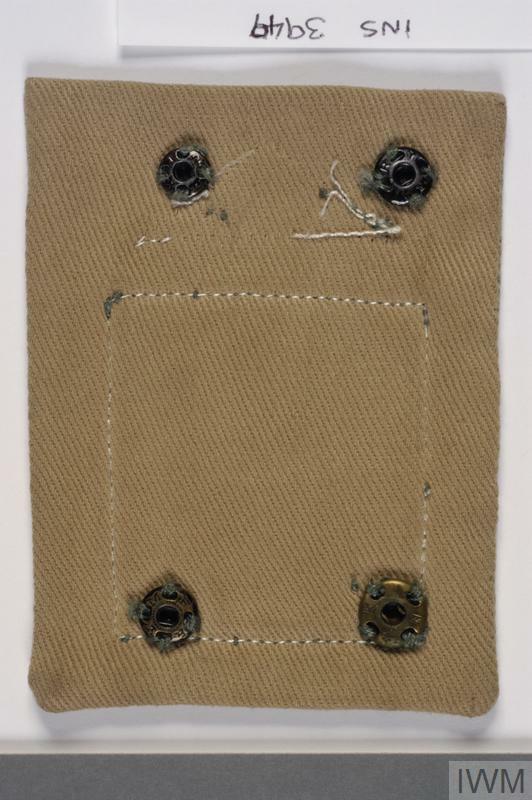 Subsequently it landed in Italy on 22 September 1943 and fought with 8th Army up to Larino. It was withdrawn briefly to Egypt (23 July to 9 September 1944) where it was re-equipped and brought up to near full strength in personnel. In 1945 the Division, still in 8th Army in 15th Army Group, fought in the Appenines and in the final advance through the Argenta Gap into Northern Italy and Austria. 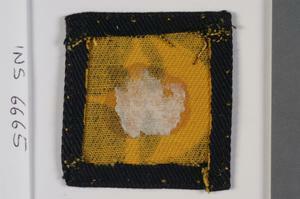 The formation became part of the occupation forces in Austria before being disbanded in August 1946. 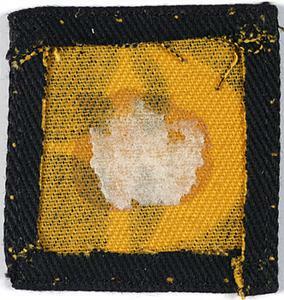 The same badge appears to have been adopted by 11th Infantry Brigade in the post war British Army of the Rhine (BAOR). However, it is not clear under what circumstances it was worn. 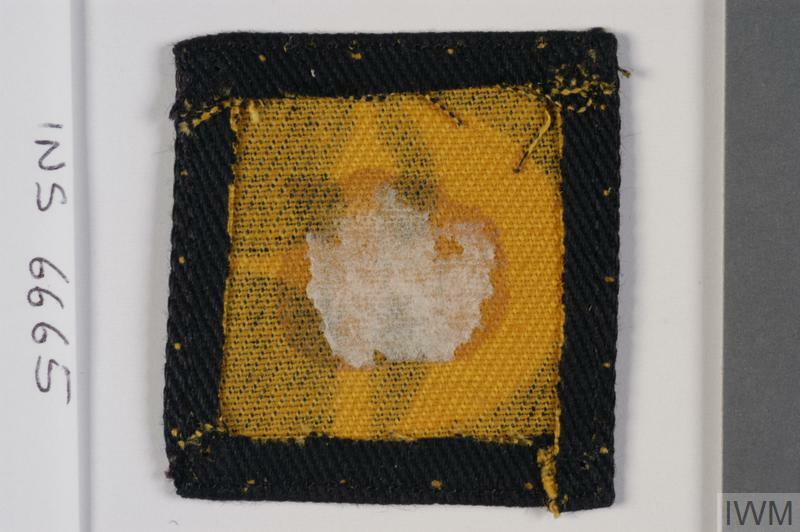 This Brigade was created in April 1946 by the conversion of 61st Brigade and seems at all times to have been part of a divisional establishment and thus should have worn the badge of its parent division. Torch, Tebourba Gap, Oued Zarga, Medjez Plain, Fort McGregor, Longstop Hill, Tunis, Cantanuova, Adrano, Bronte, Randazzo, The Sangro, Cassino II, Liri Valley, Trasimene Line, The Senio, Argenta Gap. North Africa, Algeria, Tunisia, Sicily, Italy, Egypt, Austria.